As part of the senior leadership team under UOB Group CEO, Janet spearheads digitalization initiatives to build customer engagement and connectivity across all delivery channels to meet UOB Group’s vision to be a premier regional bank in Asia Pacific. Working with Business and Technology partners, she leads the transformation of banking in the digital age, focused on data analytics for customer insights and foresights, improve customer experience, embracing Innovation and collaboration with eco-systems partners to drive better outcomes for the Bank and its Customers. Prior to joining to UOB, Janet is International Business Head for multinational corporations (MNCs) that are subsidiaries of Bank of America Merrill Lynch’s commercial bank clients from the US, a strategic growth area for the Bank. Her responsibility covered Asia Pacific, Europe and Latin America. She has over 25 years of banking and corporate experience. 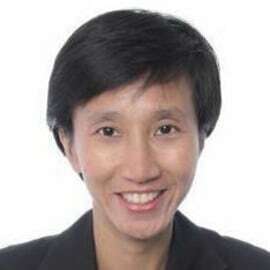 Prior to joining Bank of America, she had led Marketing, e-Business, and Commercial Banking for HSBC Singapore. Before that, she was the China Treasury Director (based in Shanghai) and Asia Pacific Finance & Treasury Director for Philips Electronics. She is a Board Member of IMDA (Info-Communications Media Development Authority of Singapore),  InnoVen -Venture Debt JV between Temasek and UOB, FinLab -Innovation Fintech accelerator JV between UOB and Infocomm Investment Pte Ltd, Accuron Technologies. She also serves on the Growth Committee of Spring Singapore, SAP Asia Pacific-Japan Business Advisory Council, Committee of Future Economy (sub-committee for Future Corporate Capability & Innovation – SMEs, Singapore) and the MBA Advisory Council of Nanyang Business School.